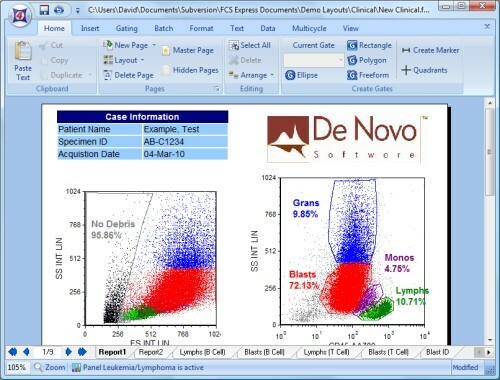 FCS Express is a fully featured flow cytometry data analysis package with features and ease of use that are equivalent to, and often exceed, those found in more expensive software packages. FCS Express is designed with one thing in mind, to bring the power of today's sophisticated analysis protocols to our users in an intuitive, easy to grasp manner. As a result, FCS Express works the way you do, instead of you having to jump through hoops in order to analyze the data the way you want. TRichView is used in text boxes (see additional information on the application web site).